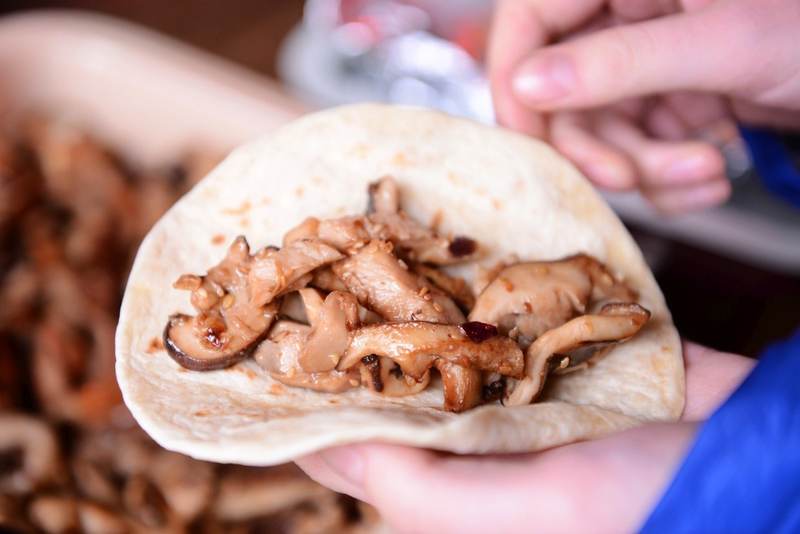 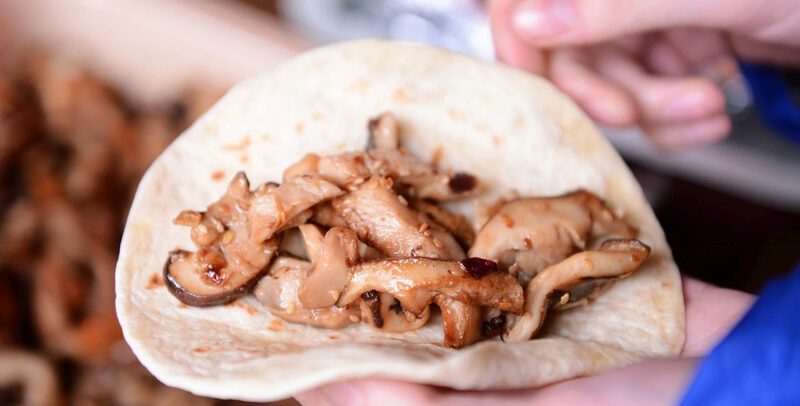 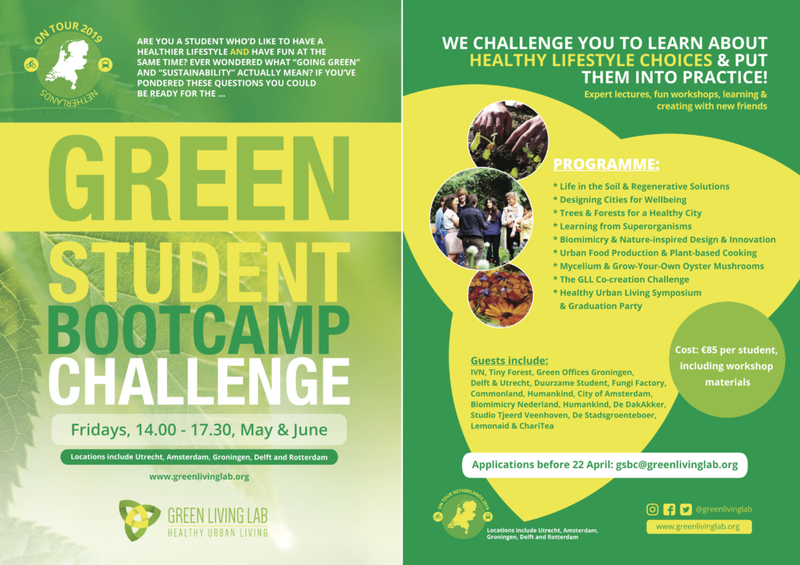 http://greenlivinglab.org/wp-content/uploads/2019/02/7d91484e-a082-48bc-a6e5-958161d7afda.jpg 1200 1600 GLL http://greenlivinglab.org/wp-content/uploads/2016/02/logo_340-01-01.png GLL2019-02-17 21:04:162019-02-18 11:08:45Joy in Senegal as the Garden Grows! 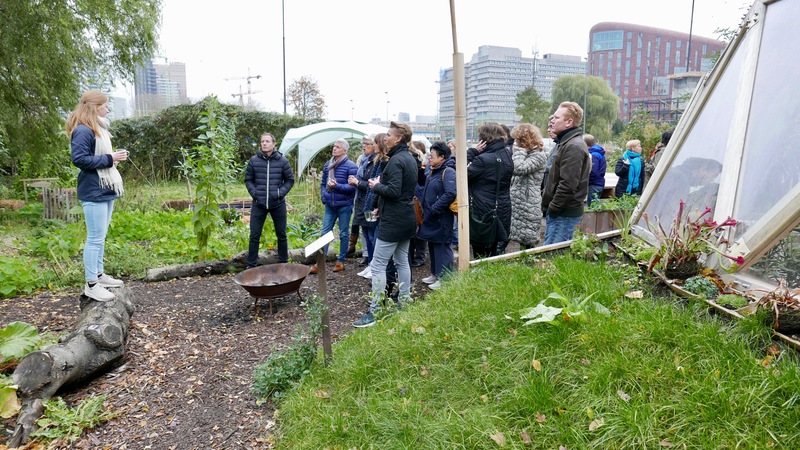 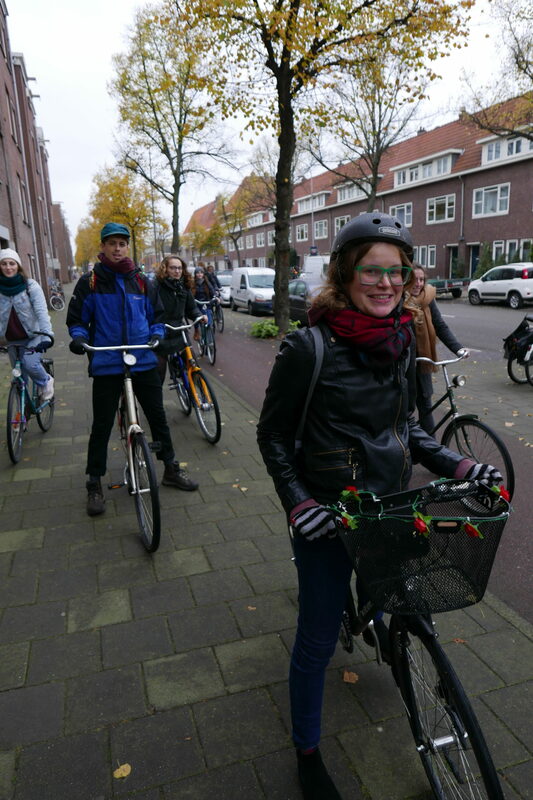 We loved hosting Gemeente Velsen’s Urban Development team at the Green Living Lab for a team building day! 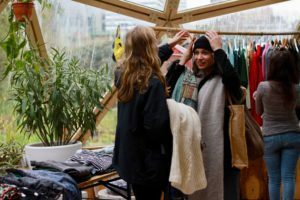 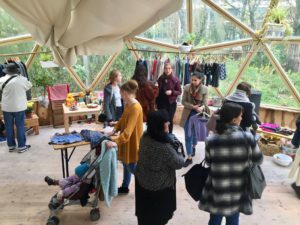 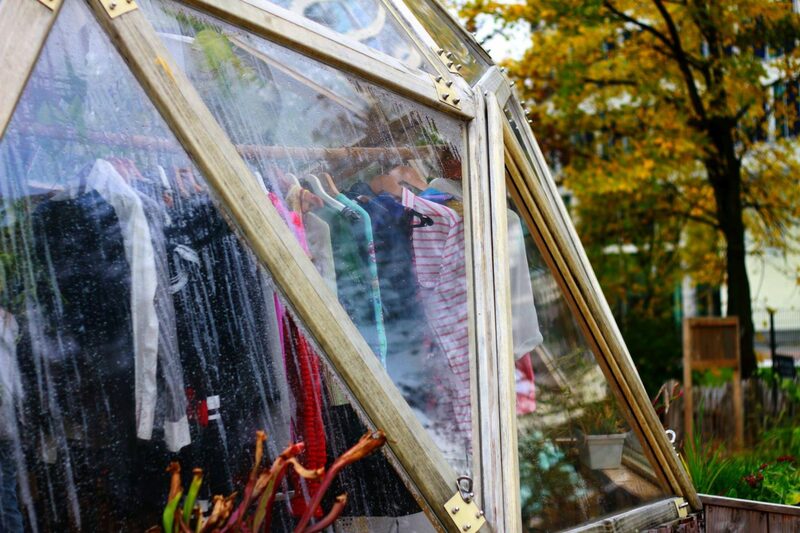 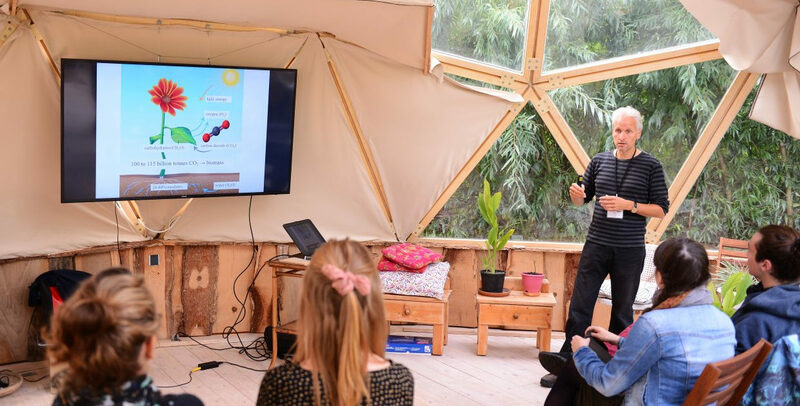 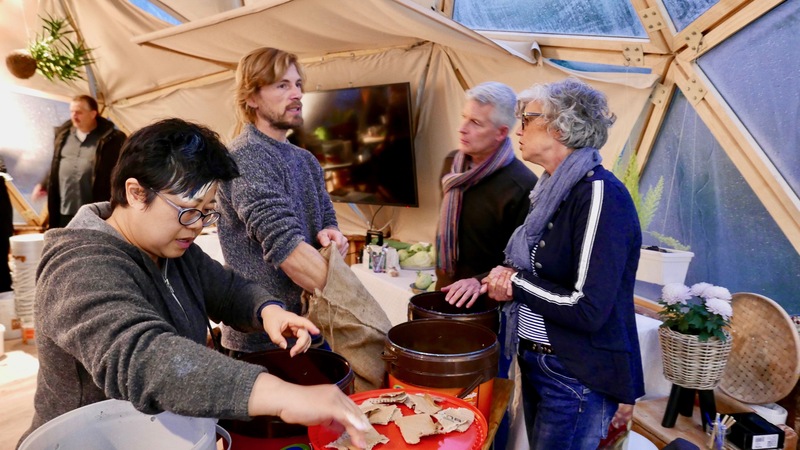 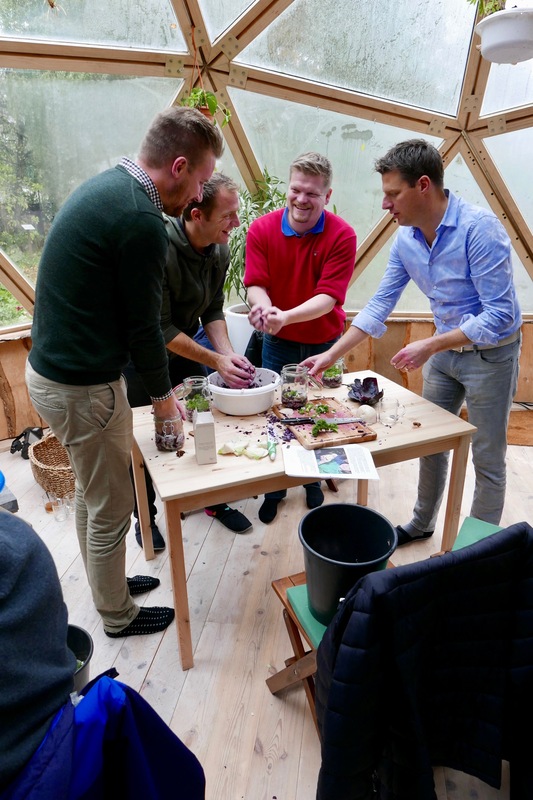 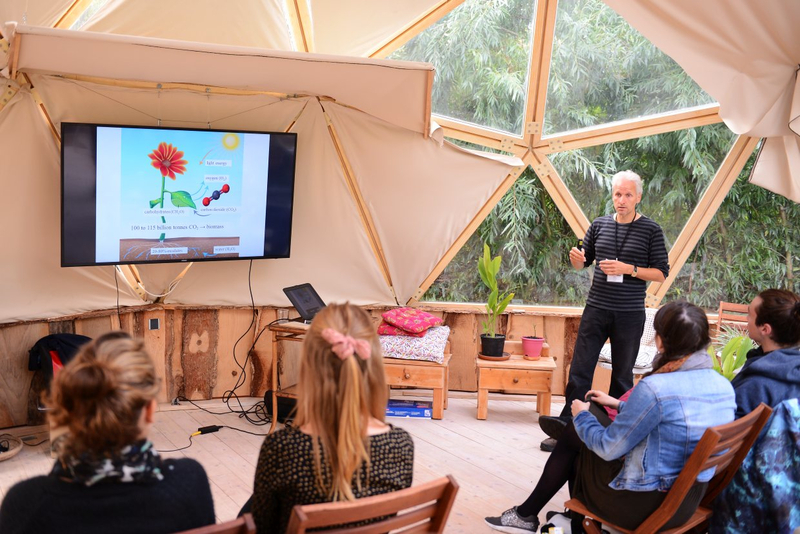 Not knowing what to expect on arrival at this little piece of green in the middle of the Zuidas, the team from Velsen soon made themselves at home in the dome, rolled up their sleeves & got started with activities led by the Green Living Lab team. 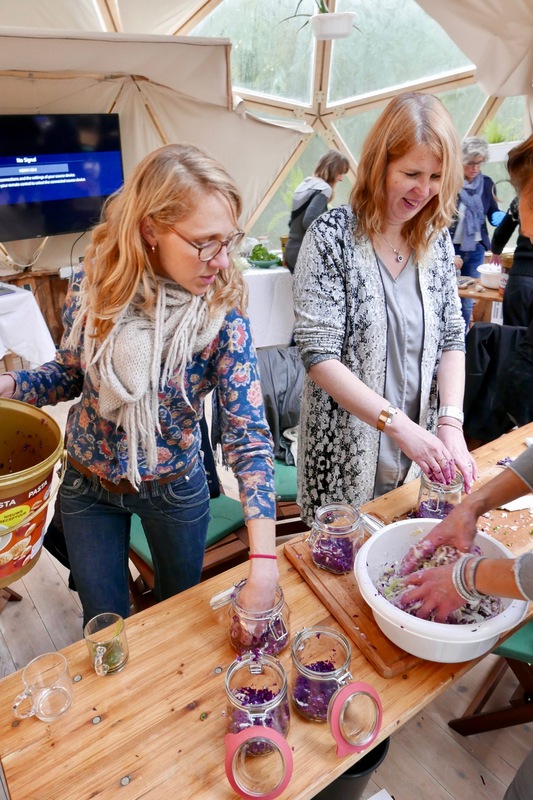 Who Knew making Zuurkool is Fun?! 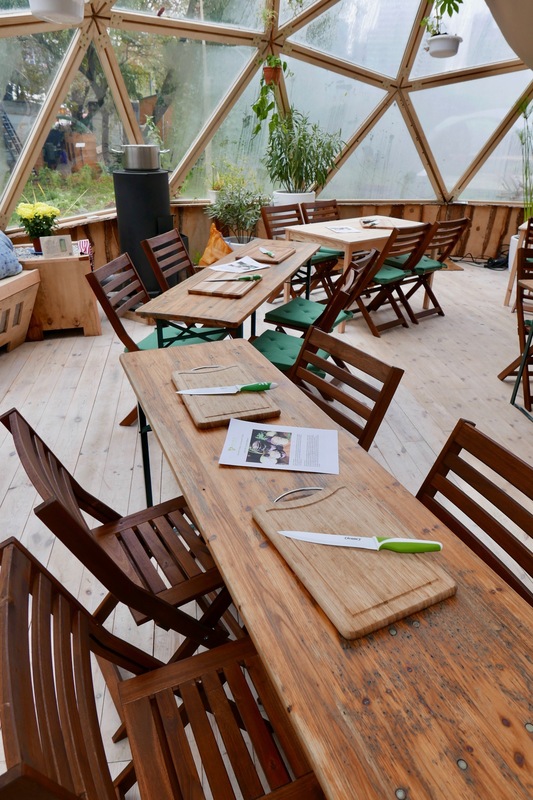 The Dome is Ready for Gemeente Velsen! 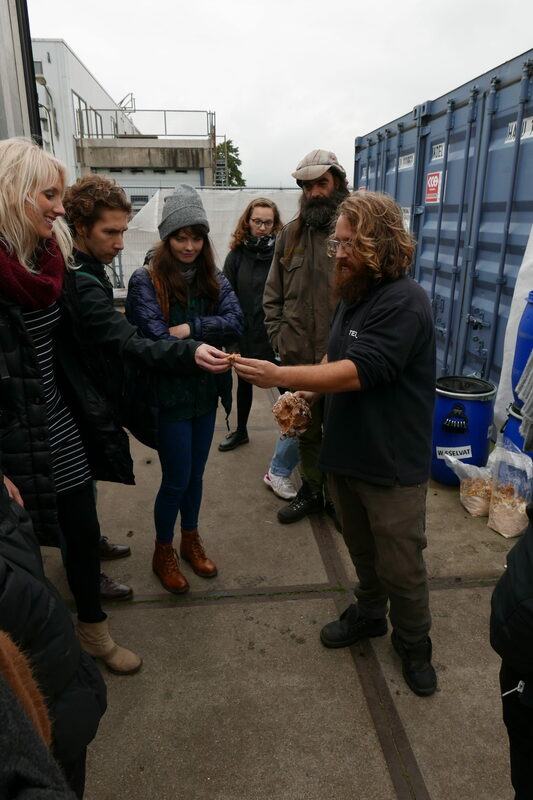 Getting Acquainted With New Compost Worm Pets! 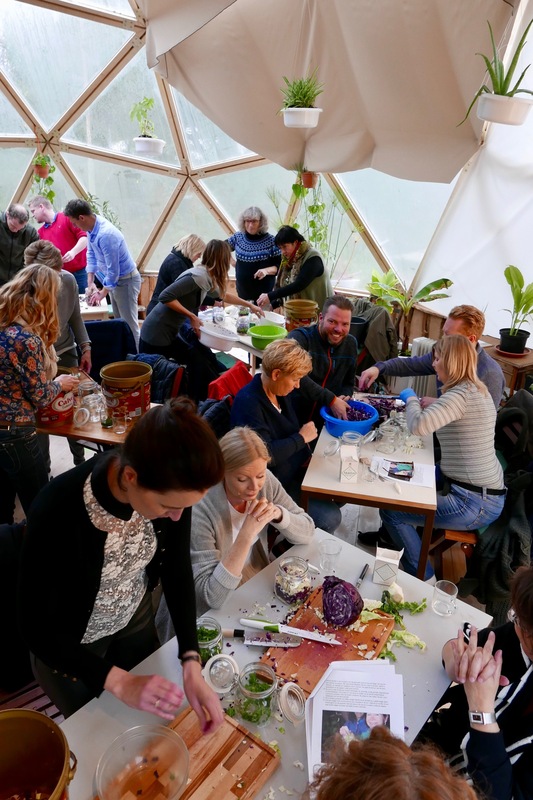 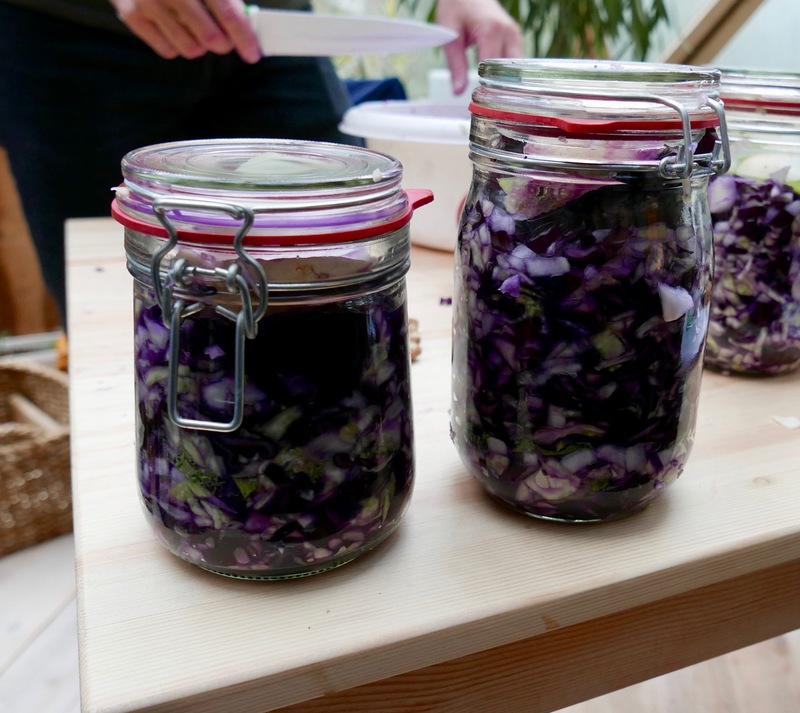 First, Green Living Lab project manager Aveen Colgan led the group in making colourful pots of zuurkool using produce from the GLL garden. 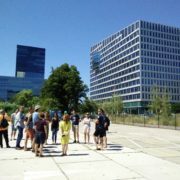 Our co-ordinator Roos van der Deijl then led the group on a tour of the GLL, explaining the story behind our project & the multiple functions of each element of our facilities. 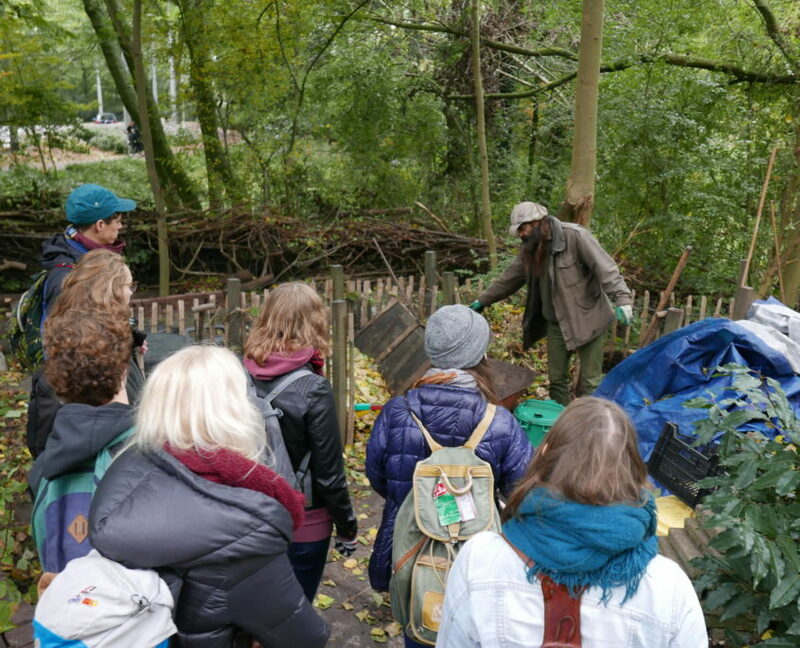 Afterwards the group were introduced to their new worm pets by Rowin Snijder from the GLL team, who designs & builds beautiful worm hotels as Le Compostier, which make community composting in the city possible. 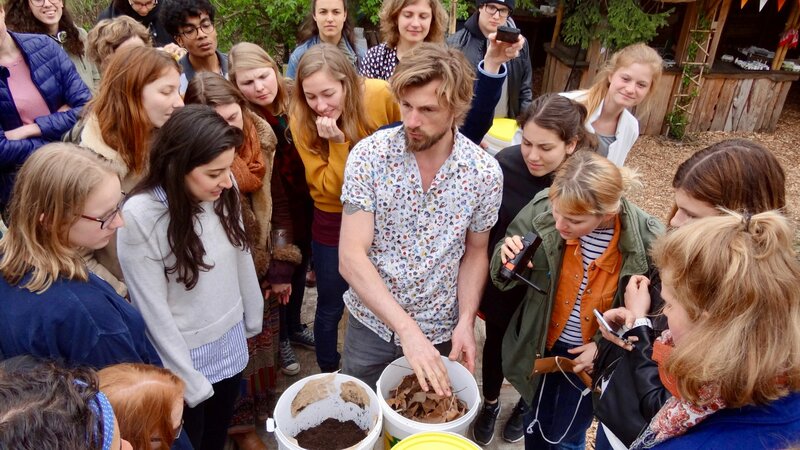 Rowin explained that vermicomposting with worm hotels provide a solution for turning organic urban waste into valuable compost in a fast, odourless & fun way. 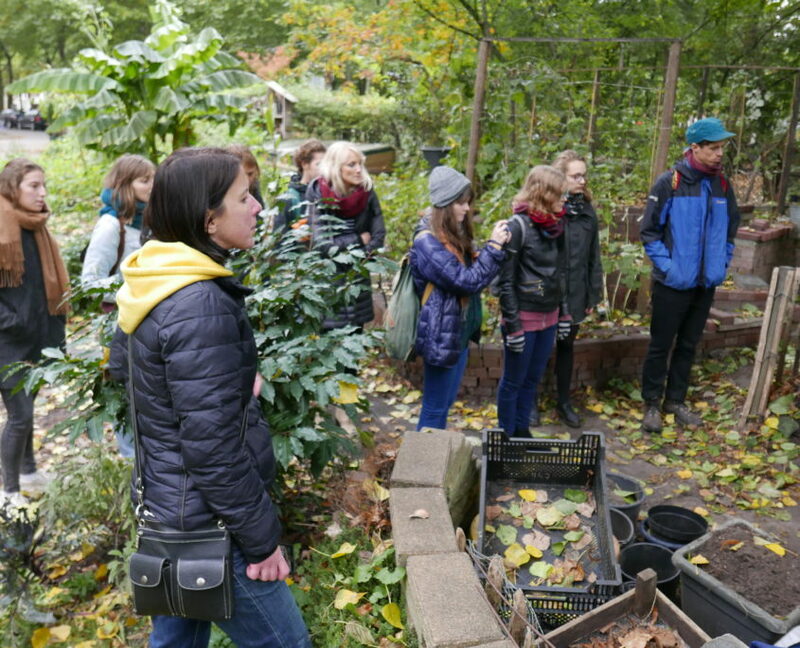 The group then made their own worm hotels to bring home & start composting. 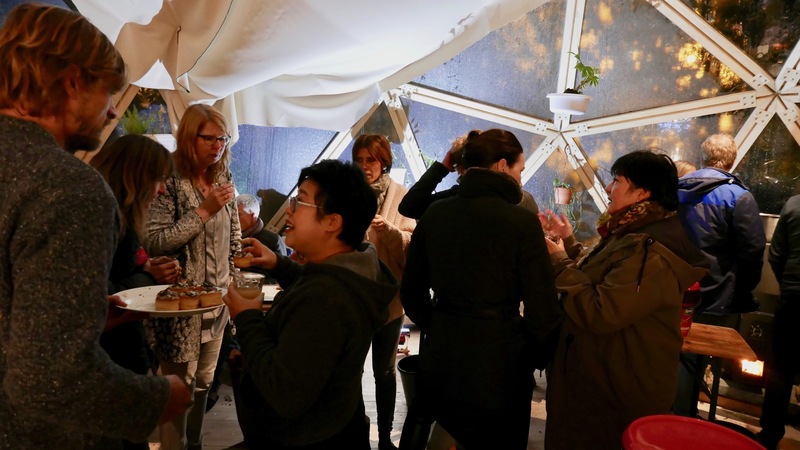 The afternoon was brought to a close with drinks & vegetarian snacks in the dome, served by GLL facilities co-ordinator Lea Grosse (who is also a whizz in the kitchen!) 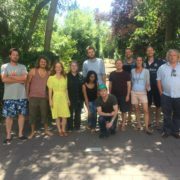 It was a joy to see all of the Gemeente Velsen team having fun being creative & working together! 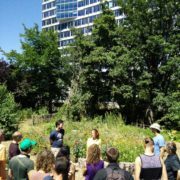 The Green Living Lab offers diverse seasonal workshops that involve working together & are always lots of fun! 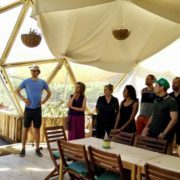 We also design our team building experiences according to the specific interests of the group. 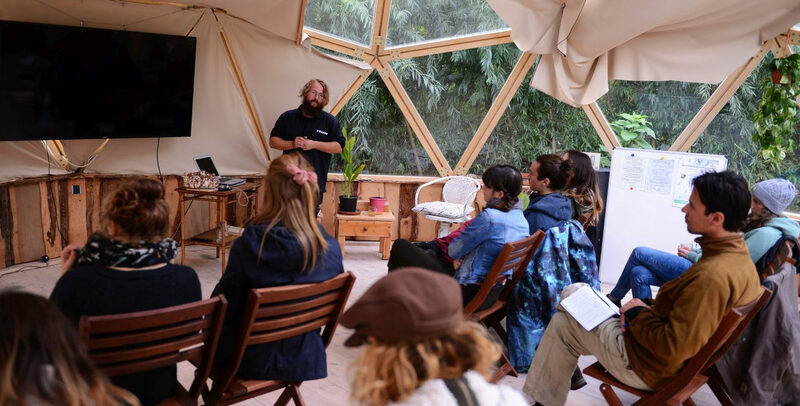 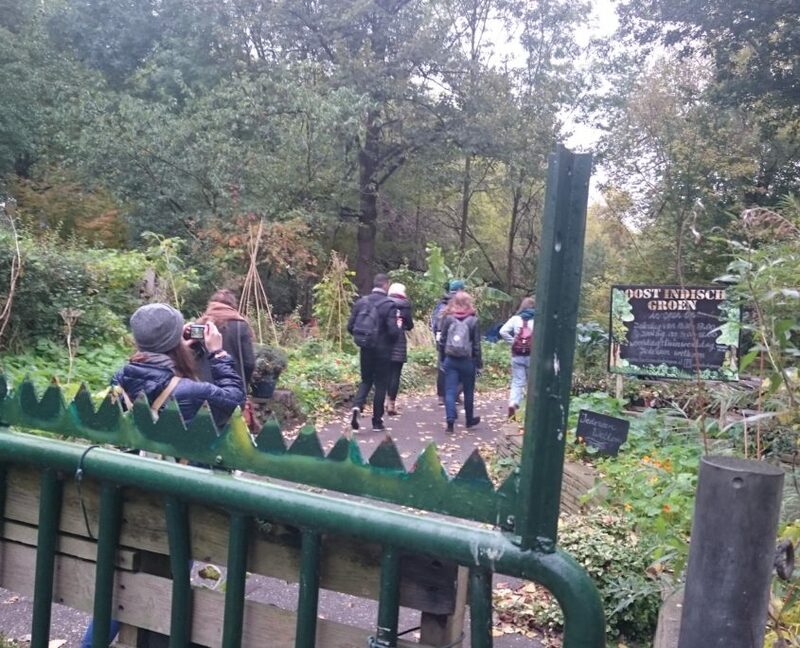 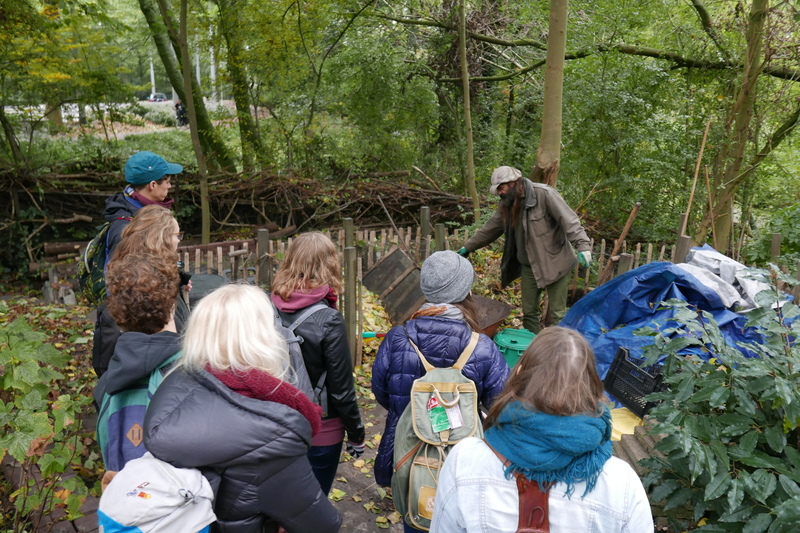 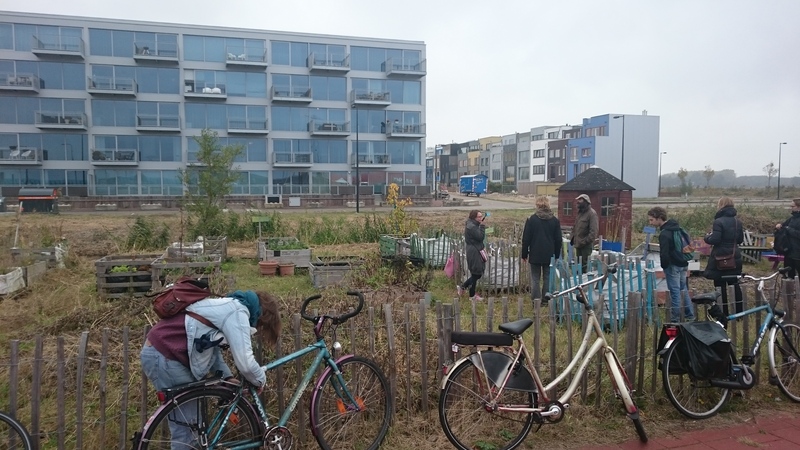 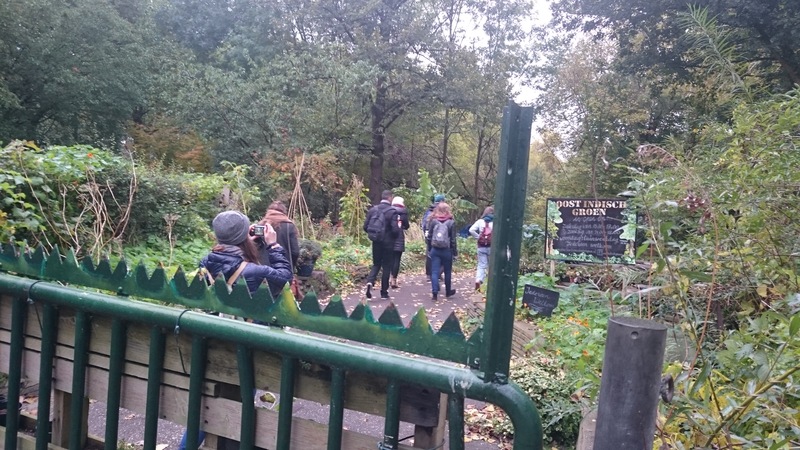 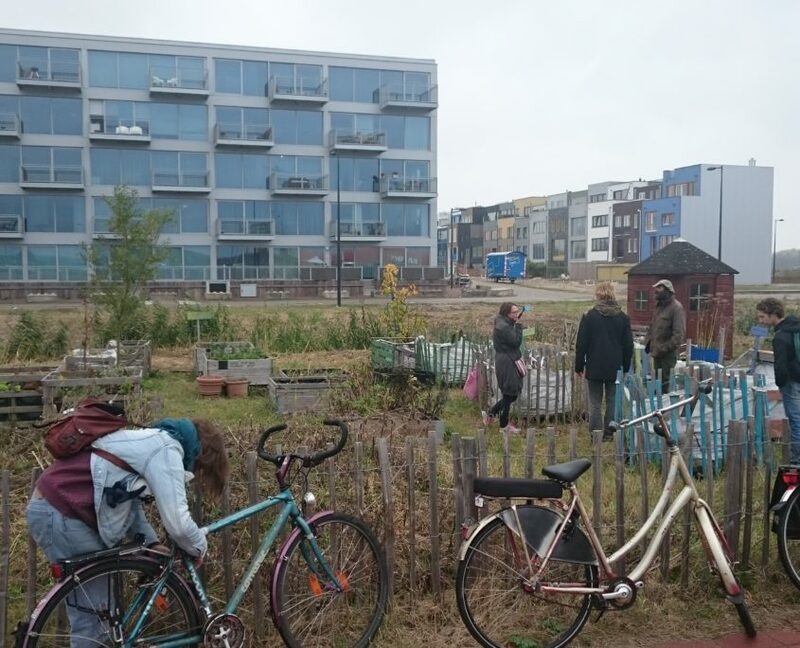 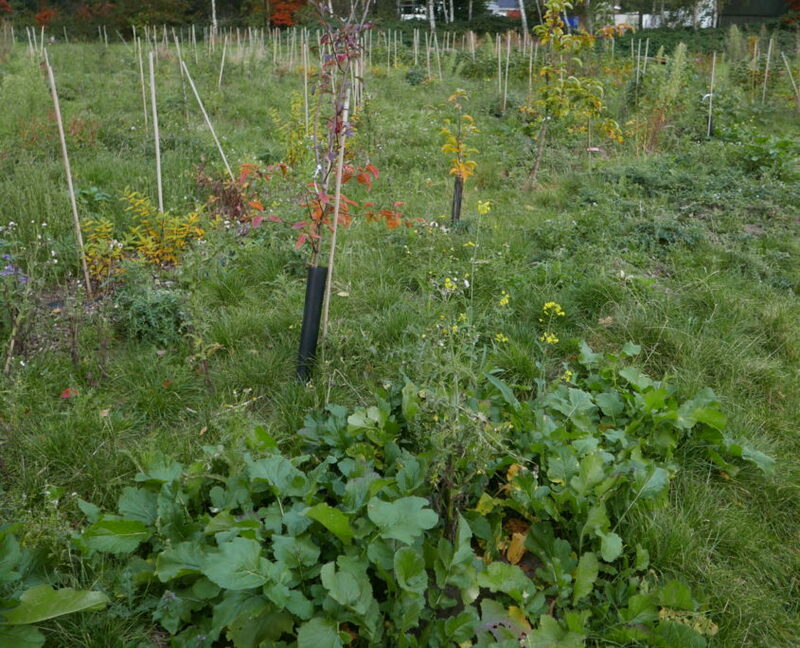 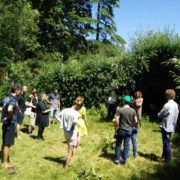 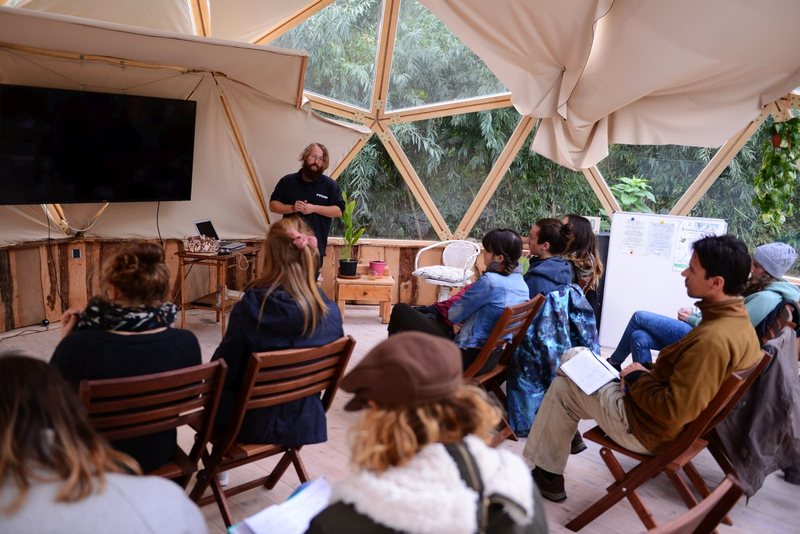 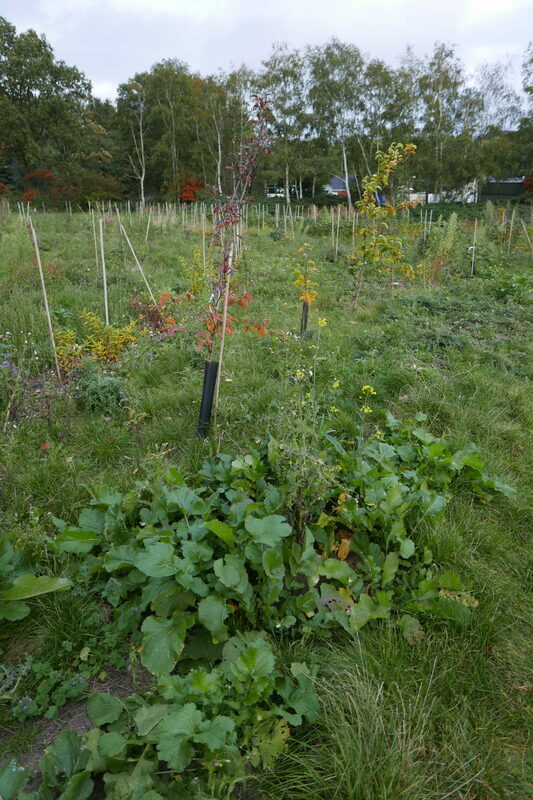 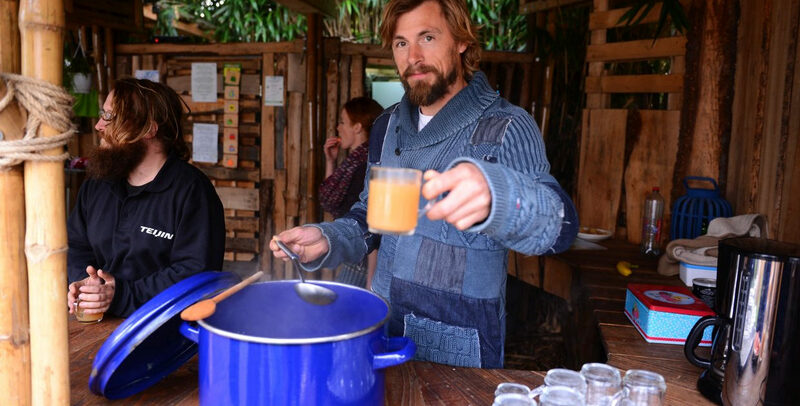 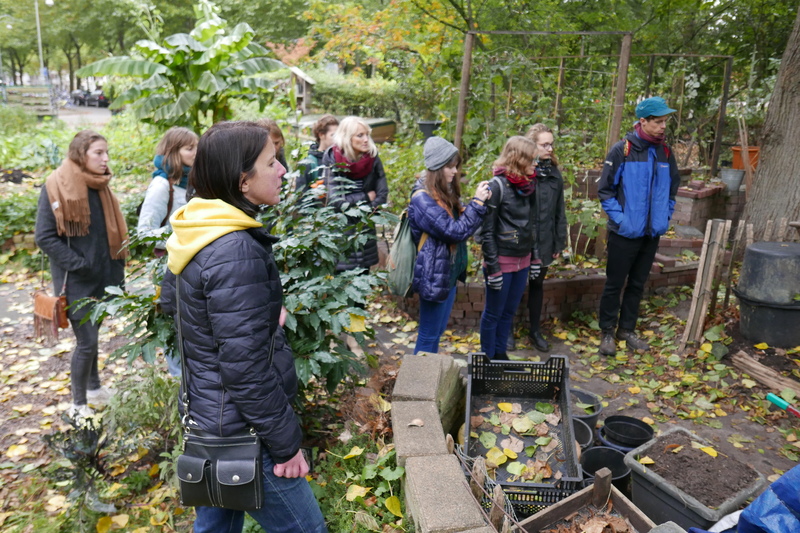 During last week’ s Community Compost School Le Compostier took us on a tour of community composting projects in neighbourhoods and to innovative urban farms in the city. 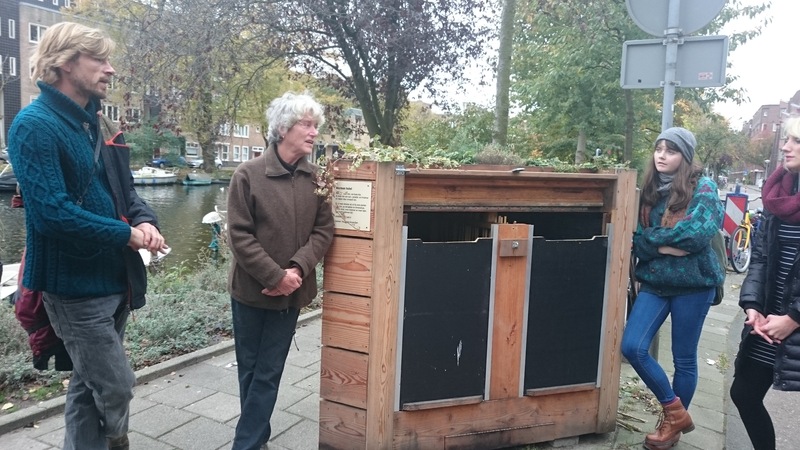 During the first stop we heard from community composting pioneer Christien how she took the initiative to bring a worm hotel to her street in the Pijp neighbourhood. 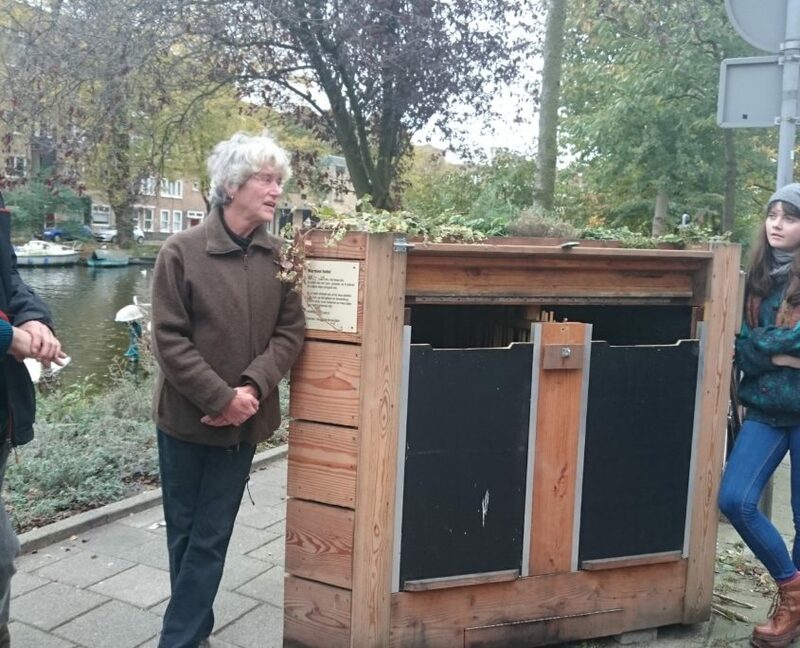 She told us how composting on the street with her neighbours is both easy and fun. 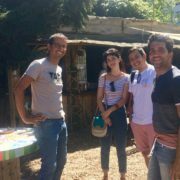 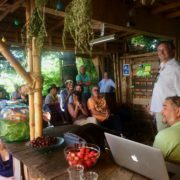 Next stop, the beautiful green oasis in Amsterdam Oost, Oost Indisch Groen, where volunteers Elco & Sameena showed us how they compost there. 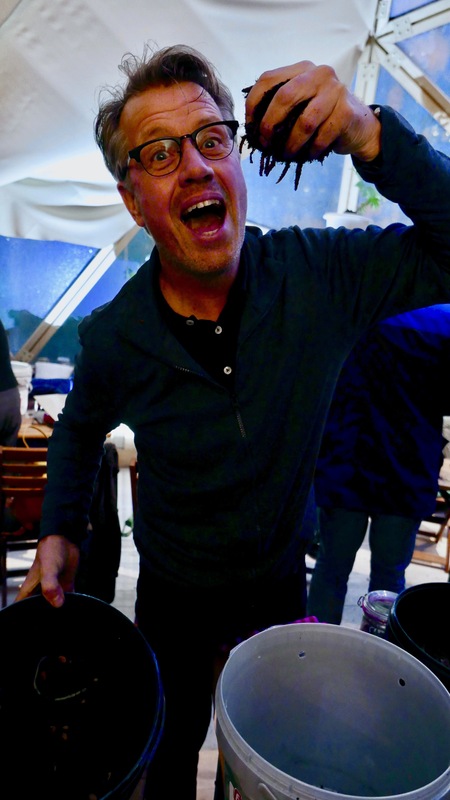 After a cup of tea (thanks Sameena!) 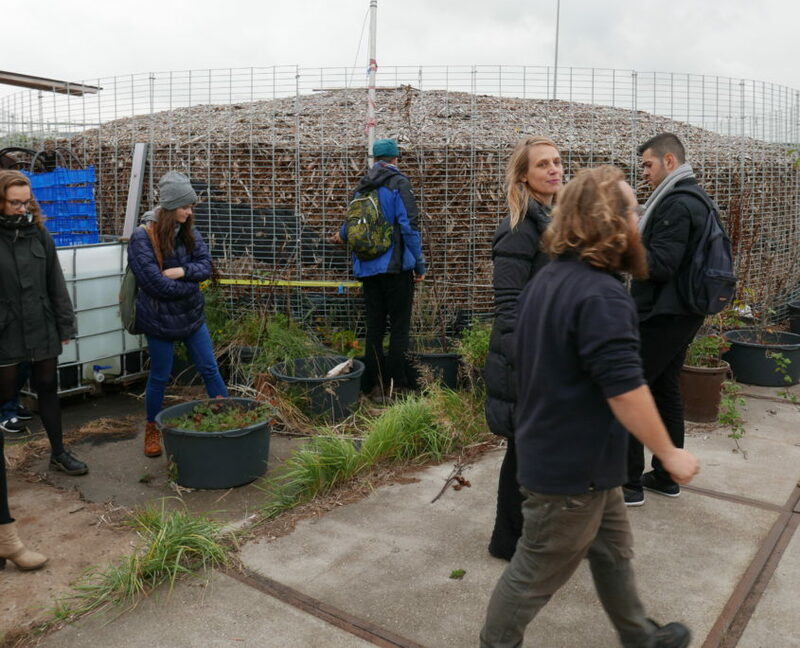 we were off to visit the community garden at Zeeburgereiland, where they have a worm hotel for composting used by over that holds 1400 litres of organic waste, making a lot of compost to grow food there. 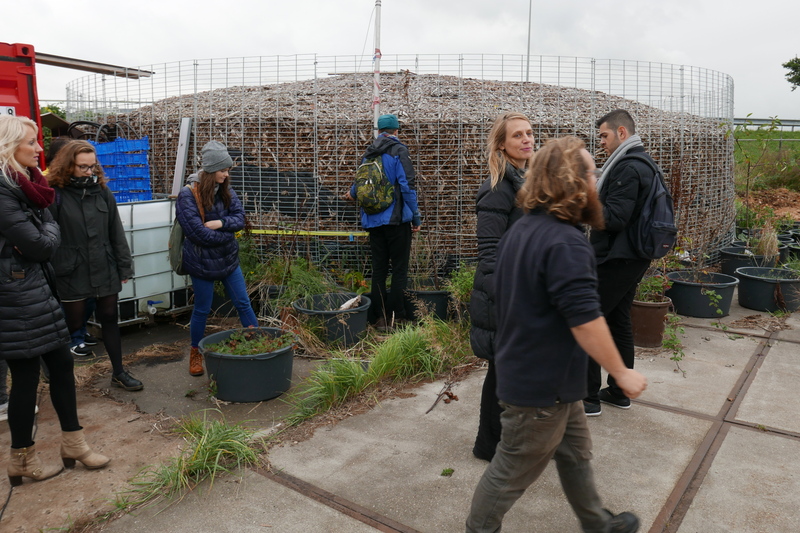 Wouter Hassing then welcomed us to his urban farm Mycophilia located in Amsterdam Noord, where we saw his state of the art mushroom farm. 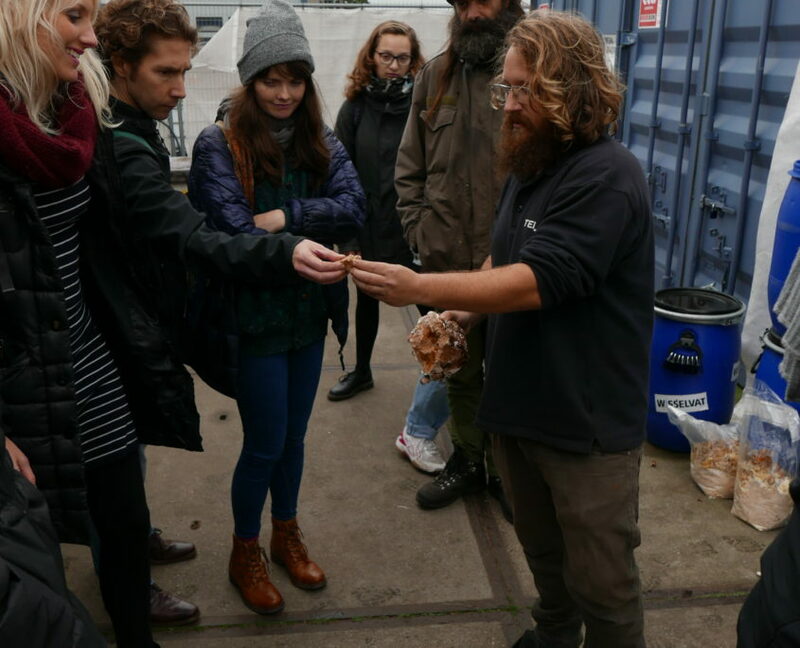 We also got to check out his biomeiler which provides heat for the containers the mushrooms are grown in. 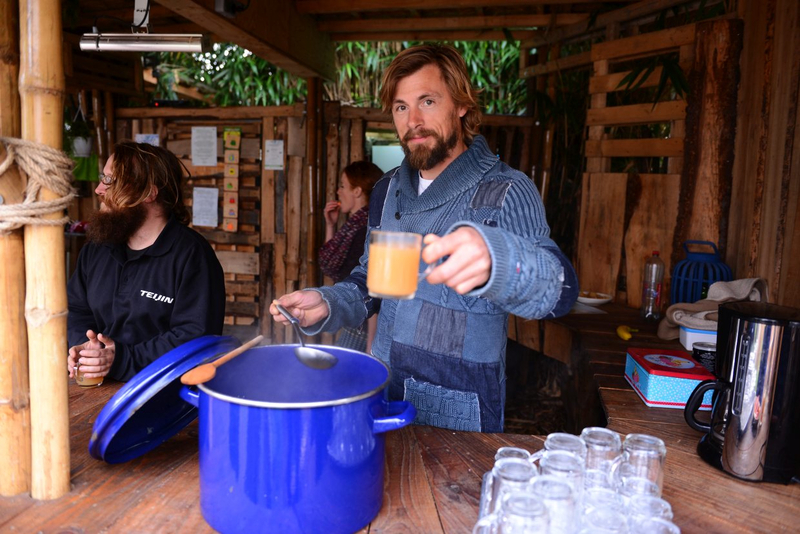 StadsOogst, a new urban farming cooperative in Amsterdam, are currently making Amsterdam’s first locally produced (& vegan!) 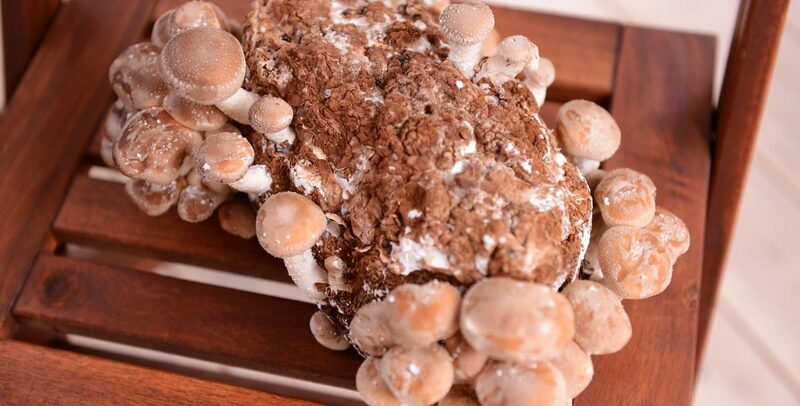 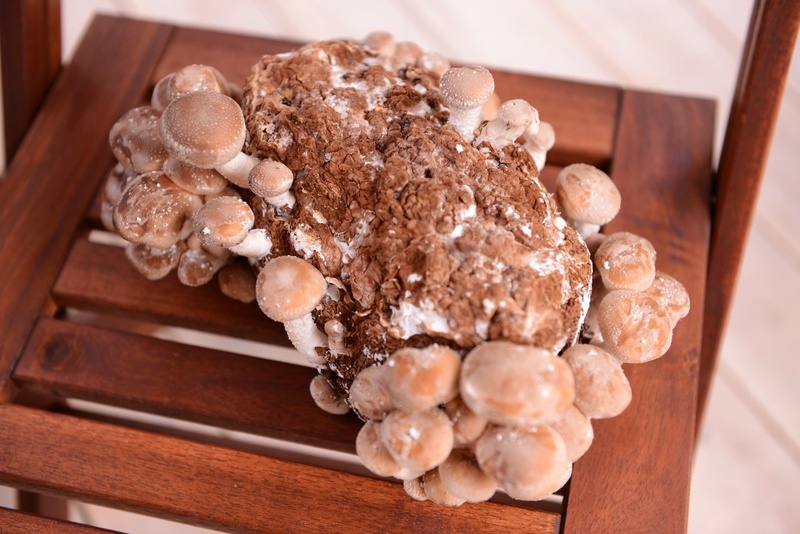 garden soil using the substrate of Wouter’s mushroom production. 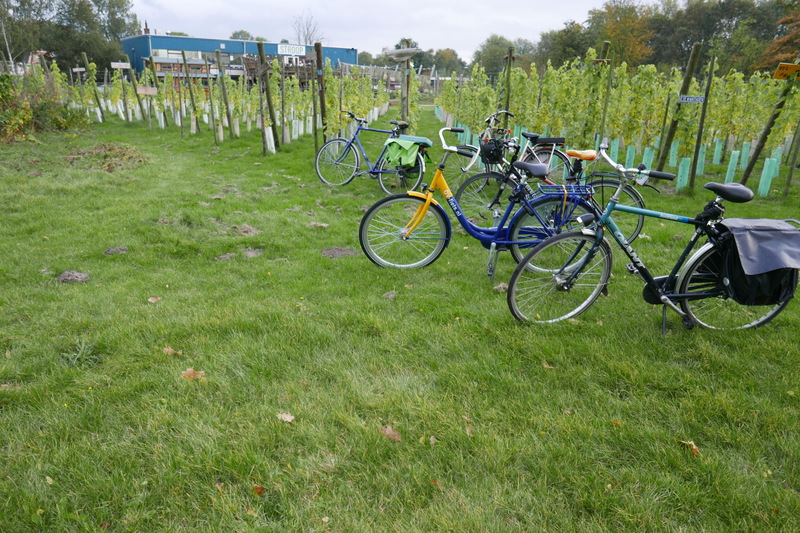 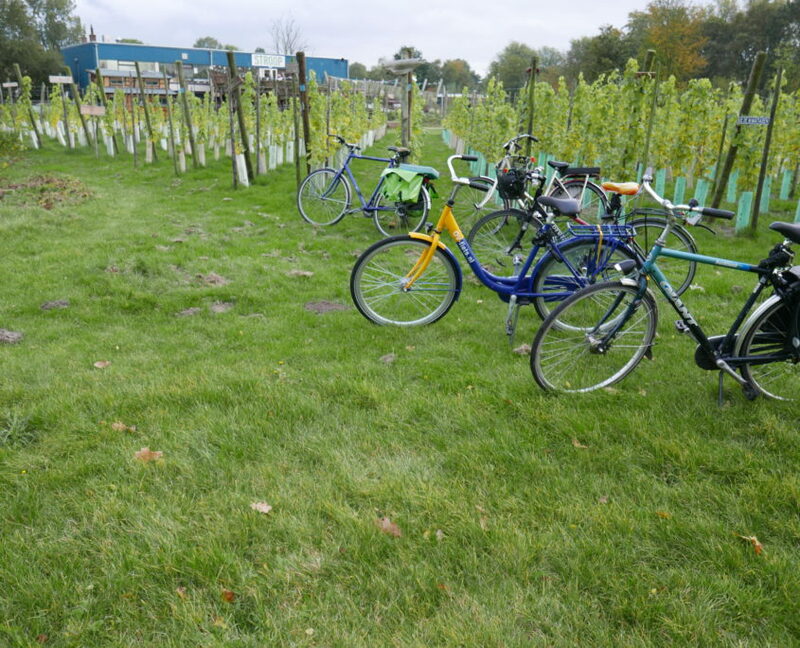 Last stop of the day, the urban faming complex Noordoogst, home to Metabolic, Beelease, STROOP & the unique No Chateau – Amsterdamse stadswijngaard city vineyard. 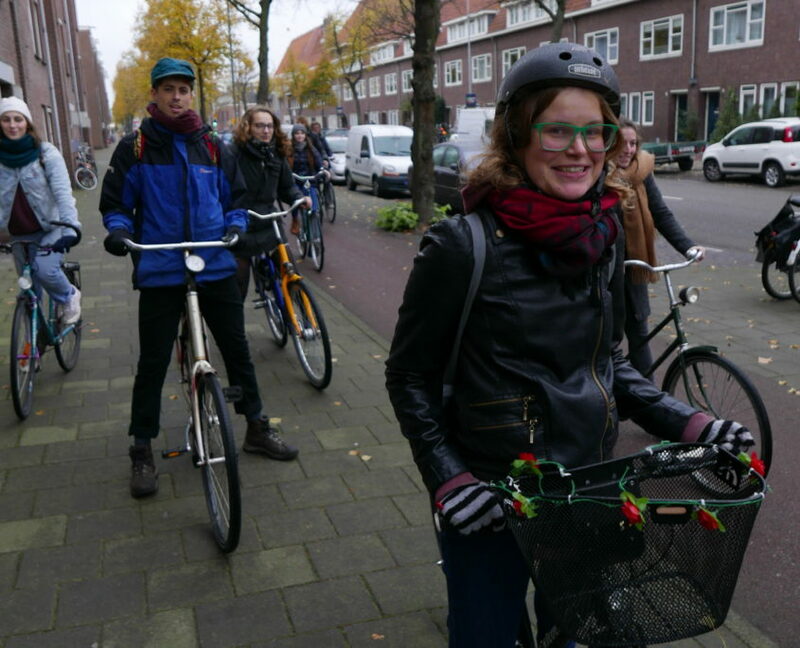 Thank you to all of the bikers who rode along & a special thanks to Le Compostier for organising such a special afternoon!